There are MANY ways of sowing Hope, and on this page we will not only explore them, but also GLEAN from the experiences of OTHERS who are Sowing Hope in their communities. Though you may be working through the Steps on your own, we are also beginning to incorporate these steps in our Courses to help even new clients reach out and Sow Hope into the lives of others. 1. Search for people posting prayer on thousands of sites. 2. "Pray" for them by writing your own response or simply modifying and pasting the prayer at the end of RYM Chapter 1 (below), and end by giving them the MarriageHelpOnline.com link. 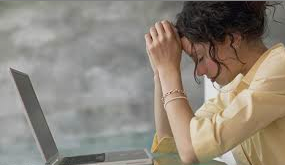 “Dear Lord, please guide this special sister during the trouble in her marriage. And her ears shall hear a word behind her saying, this is the way, walk here, when she turns to her right and when she turns to her left" (see Isa. 30:21). “Please reassure her when she sees a thousand fall on her right side and ten thousand at her left; help her to know that if she follows You, it will not happen to her (see Ps. 91:7). Hide her under your protective wings." You never need to leave your home or office, but by simply using a computer, you can help people around the world—and also EASILY finding people who are desperate for help. Don't wait, get busy today and share the Good News online! First, make sure you begin carrying "Marriage Help ONLINE" CARDS with you wherever you go so you are ready to pass them to someone who you hear needs to find HELP for their marriage crisis. Simply PRINT, Cut them up—and keep them with you at all times! NEXT, print off a full sheet to post at a local church or hang on your library bulletin board. If you want to change your community, consider purchasing and donating a RYM book to your local libraries. 5 Paperbacks for $65 And when you do, let women know there's a RYM book in their library! Click Here for a poster that includes a picture of the RYM cover "Now Available in Your Library" AND strips of MarriageHelpOnline Cards. Click Here for a poster of strips of MarriageHelpOnline Cards. 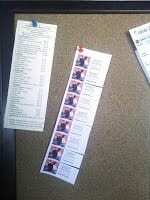 Put the PDF on a thumb drive or send it to their email address as an attachment. Give them a call and begin Sowing Hope today! 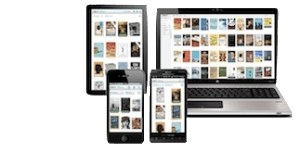 By sowing paperback books in your library, you are multiplying the possibility of finding and helping women in your area—and then helping and encouraging YOU! 1. Google to search for the libraries around you, give them a call, and ASK them who to speak to about donating a book. Libraries are usually happy to be given a FREE NEW book donated to their library (since they normally have to purchase them) AND it's so easy because the RYM does have a Library of Congress number. 2. Ask what their POLICY is for donating books. Sometimes there is a minimum of books that must be donated, and sometimes they will ask (and be sure to tell them) regarding the Library of Congress number. 3. Once they accept the book, print MarriageHelpOnline Cards, cut them up, and put them IN the books as bookmarks, then when women in marriage crisis are led to search their local libraries for a book to help them, they'll find the MarriageHelpOnline.com with our other resources to help them through their crisis— just as they helped you. 4. 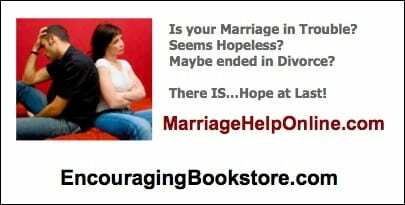 If there is a bulletin board, put up a MarriageHelpOnline Poster to advertise there's a new book because everyone knows someone who is in a marriage crisis! 5. Even if a MarriageHelpOnline Cards is not in the book, there are many places in the book where the ministry website address is in there for them to easily find us!